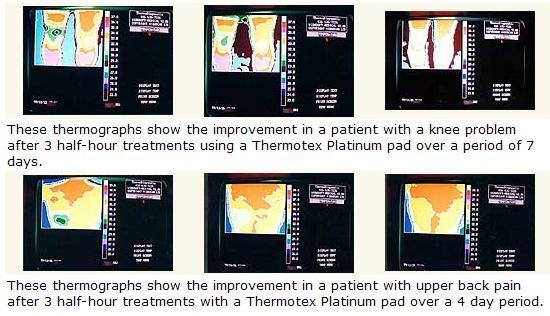 Thermotex Infrared Heating Platinum Therapy Healing Pad (17" X 15") w/ 1 Year Warranty! Thermotex Infrared Infrared Therapy Systems are a patented range of deep tissue infrared heat pads designed to relieve pain, promote healing and accelerate rehabilitation. Unlike conventional hot packs or heat pads that simply heat the surface of the skin by conduction, Thermotex safely delivers FAR infrared thermal energy beneath the surface of the skin. Thermotex re-invents infrared by producing 100% FAR infrared, replacing conventional infrared lamps which emit light from different parts of the electromagnetic spectrum and must therefore be used with caution. In studies the unique subcutaneous heat delivery mechanism of Thermotex has been shown to raise temperatures at depths of 6 cm beneath the surface of the skin after just 20 minutes of use. Thermotex deep tissue infrared heat therapy delivers prolonged heat where it is most needed. This effectively increases blood flow into the targeted area to deliver nutrients and oxygen and to keep tissues healthy while eliminating waste and easing inflammation. We back every Thermotex pad that we sell with our 100% money back guarantee. If you have any questions please call us at (701)223-9936 or Toll Free (800)355-2956. Designed with three flexible panels joined together as a unit, THERMOTEX PLATINUM is the versatile all purpose model that can be used almost anywhere on the body. Velcro straps facilitate positioning and allow better isolation to the affected area. 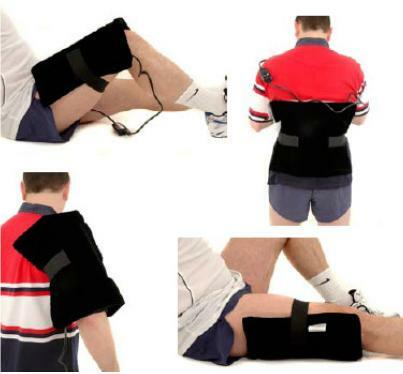 Suitable for the large muscle groups of the back, shoulders and legs, also effective for use on knees, ankles, wrists, elbows and nap of the neck.